ST. HELENA ISLAND, S.C. (AP) — As a potentially catastrophic Hurricane Florence steamed toward the Carolinas, Josh Dais watched the weather reports on the TV in his barber shop and listened for updates from emergency officials. But when it comes to deciding whether to flee this island where thousands of black residents trace their ancestry back to enslaved West Africans who once toiled in the fields nearby, the opinions of family elders can carry as much weight as those of professional meteorologists. Respect for tradition and deep cultural roots have persisted for generations on St. Helena Island, the largest Gullah community on the South Carolina coast. An estimated 5,000 or more people living here are descended from slaves who worked rice plantations in the area before they were freed by the Civil War. Smaller enclaves of Gullah, referred to as Geechee in some areas, are scattered along the Southeast coast from North Carolina to Florida. Scholars say separation from the mainland caused the Gullah to retain much of their African heritage, including a unique dialect and skills such as cast-net fishing and basket weaving. Destructive hurricanes haven’t been too frequent in St. Helena Island’s past. But the so-called Sea Islands Hurricane of 1893 devastated the area after rolling ashore in Savannah, Georgia, and killed an estimated 2,000 people. 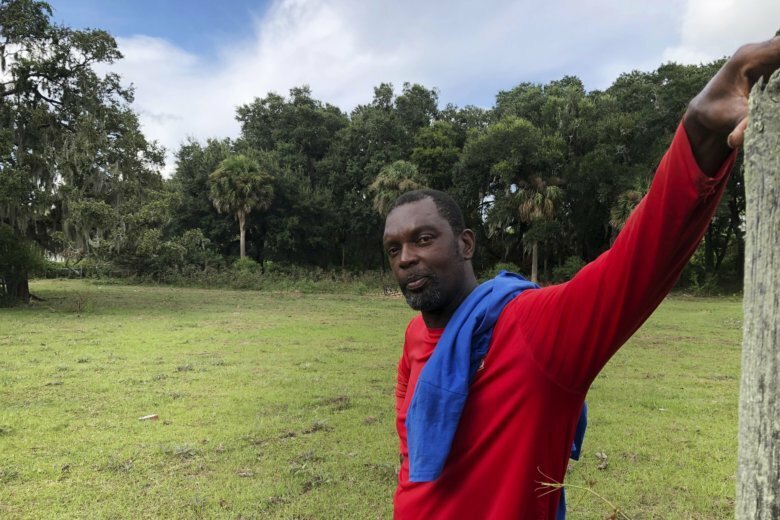 Emory Campbell, a Gullah descendant and scholar, recalled riding as a boy in a neighbor’s old cart on Hilton Head Island as Hurricane Gracie struck in 1959 and tore the roof off a hotel. Hurricane Matthew smashed and toppled trees across surrounding Beaufort County in 2016 but largely spared the modest ranch houses, bungalows and mobile homes of St. Helena Island. John Brown, 54, said he spent two weeks after Matthew cutting up fallen trees with a chain saw in his job for a municipal public works department. A giant live oak uprooted by the storm remains intact across the street from Brown’s home. St. Helena residents said people started filling up gas cans and buying supplies Monday when the governor ordered evacuations for the entire South Carolina coast. Things calmed down Tuesday when the order was lifted for Beaufort County, though some local restaurants and businesses stayed closed. Florence’s track remained uncertain Wednesday. The National Hurricane Center said the storm is expected to slow as it moves toward the Carolinas and could even change direction before coming ashore. Bertha Bradley wasn’t worrying. She and her husband grew up on St. Helena Island and own Bradley’s Seafood, a small cinderblock shop where they sell shrimp, flounder and whiting, all caught by their son. Bradley said she has never favored evacuating ahead of hurricanes, in part because her great-grandmother never did. Bradley and her husband missed Gracie in 1959 because they were in Savannah after getting married. One subsequent storm, she’s not sure which one, scared them enough to get them to leave the island. But the traffic, she said, was awful. For the latest on Hurricane Florence, visit www.apnews.com/tag/Hurricanes .